Easter dinner was quickly approaching and I knew I was craving something with cherries, because...c'mon, I love all things cherries. I wanted to make something I hadn't made before, something delicious (obviously), and something super easy since I was making deviled eggs and brownies also. 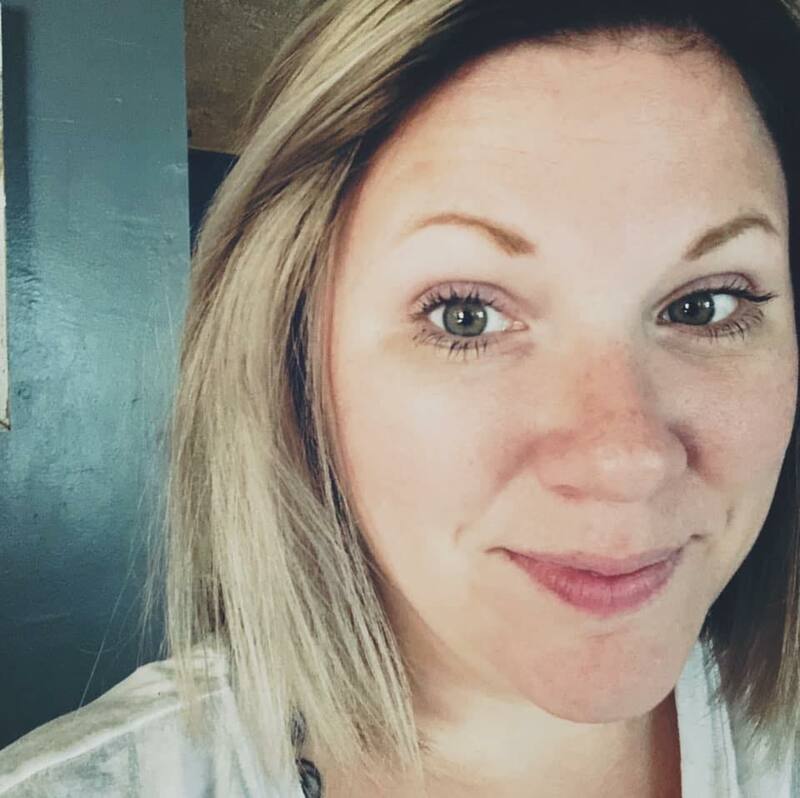 Not that it isn't so hard, but I had a lot going on last weekend! So I decided to whip this up. Yep. 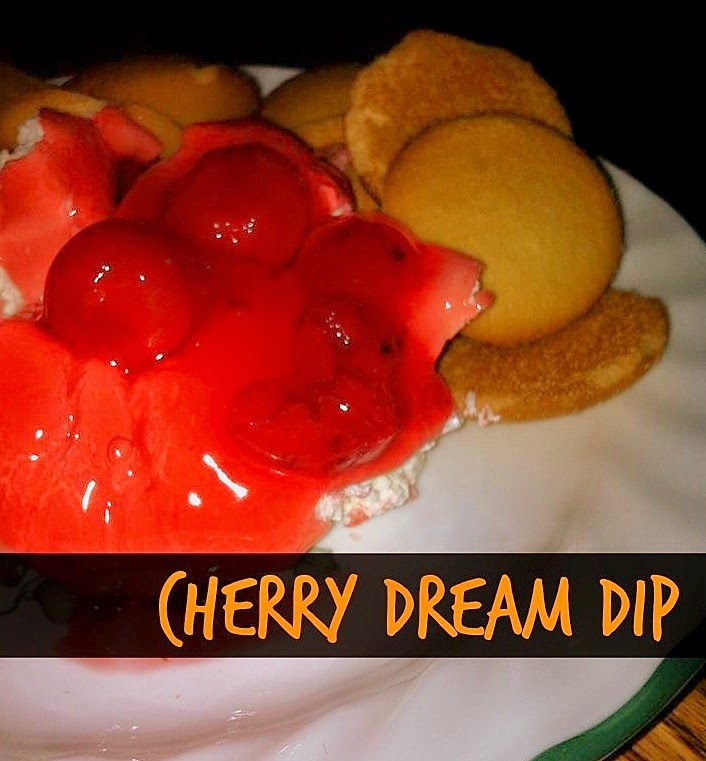 Cherry Dream Dip it is! I served it up with Nila Wafers (or generic vanilla wafers), but graham crackers would be good also. I could probably, no I can sit down and eat this stuff with a spoon because it is so good. 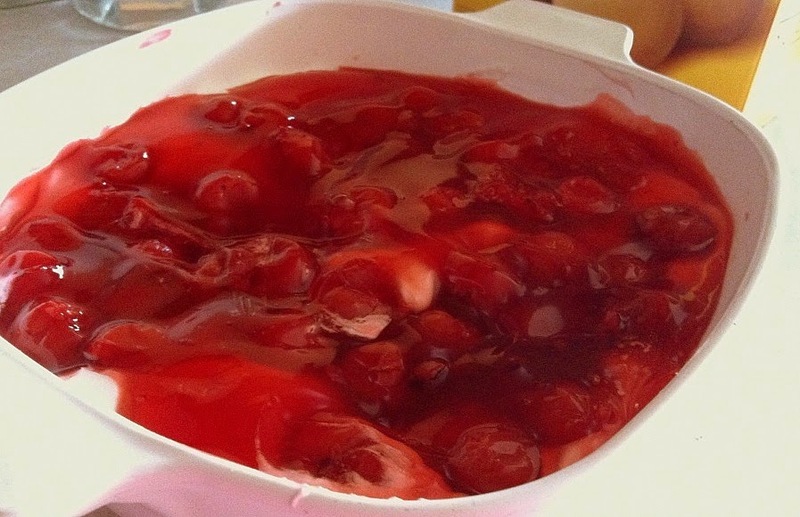 You could change up the pie filling topping to suit your taste, but cherry is where it is at! Cream together the cream cheese and marshmallow creme. Spread evening in a large baking dish, or two smaller dishes. Let cool in the refrigerator for at least 2 hours. Spread the pie filling over the top. Serve with wafer cookies or graham crackers.